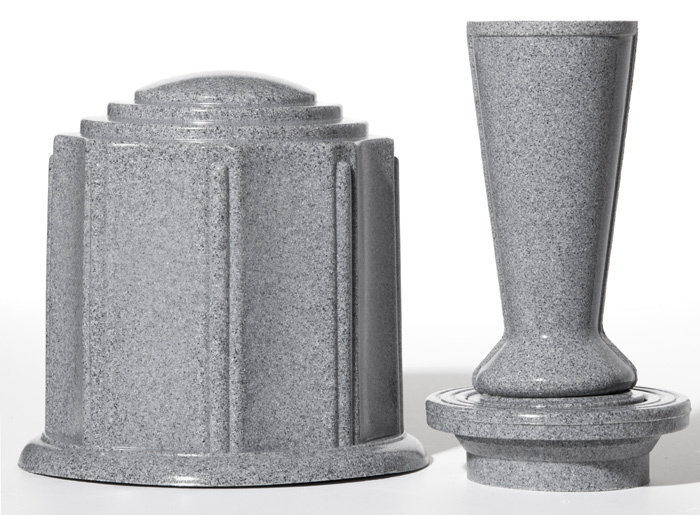 ForeverSafe™ Cemetery Vases & Urns, offer beautiful American-made granite or metallic like Cemetery Flower vases that offer all of the aesthetic value of brass, marble or precious metals, but at a fraction of the price. 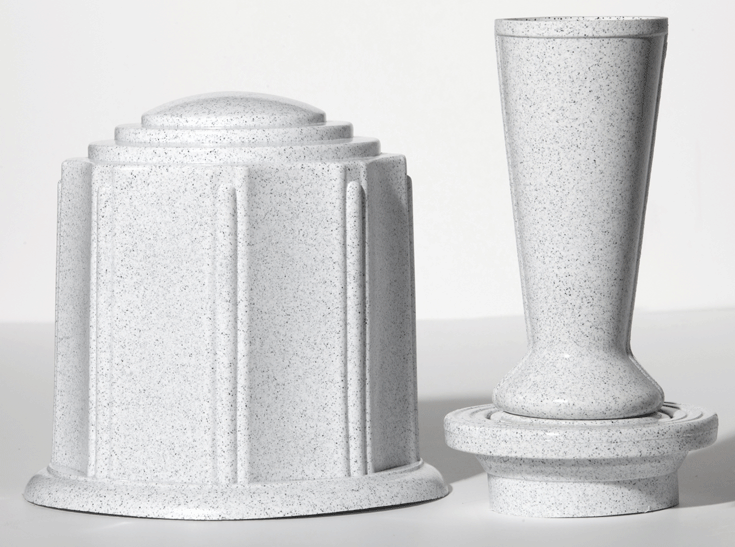 The gorgeous stone like granites and exceptioonal metallic effects will complement any headstone or memorial. 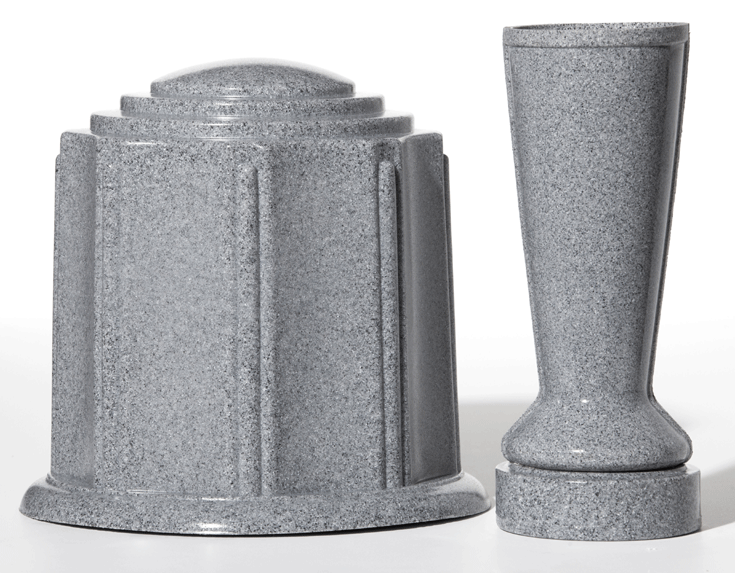 While offering replacement Cemetery Flower Vases that can be adapted to fit most common canister manufacturers existing product, The ForeverSafe™ `	Cemetery Vase adds an incredible touch to any memorial. 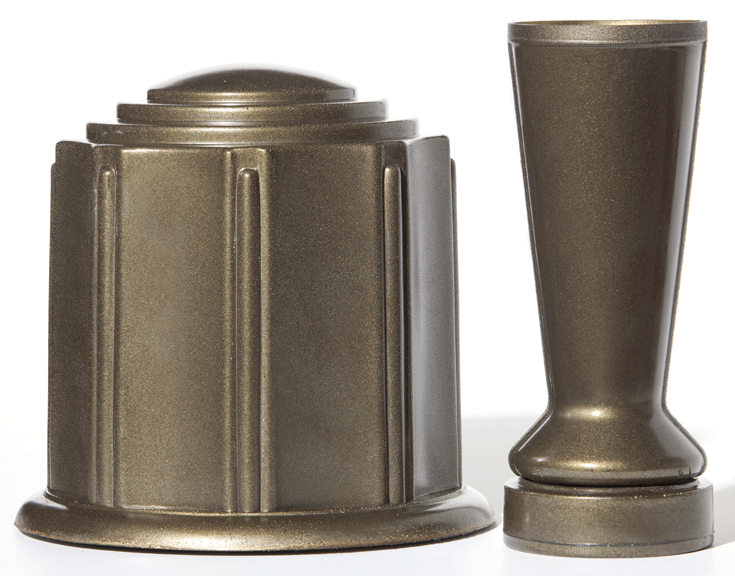 ForeverSafe™ Cemetery Vases offer the ability to replace most any major manufacturers bronze or other precious metal cemetery flower vases. 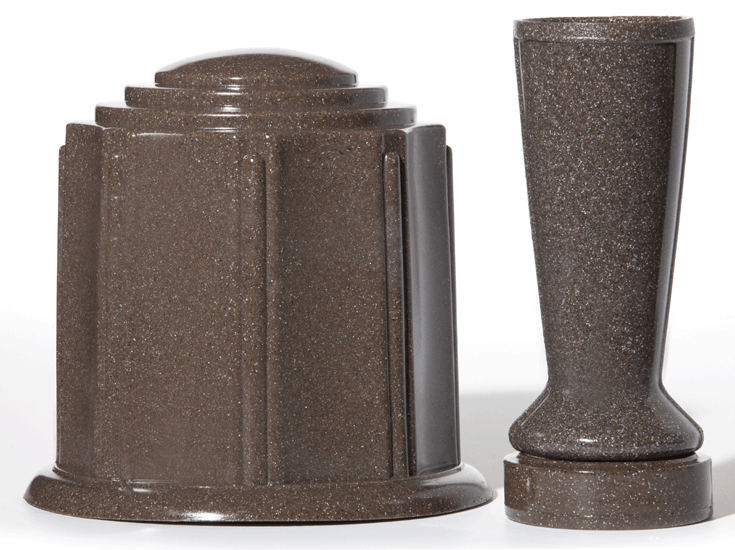 The cemetery vases from ForeverSafe also turn down into the canisters when not in use, like most manufacturers cemetery vases. 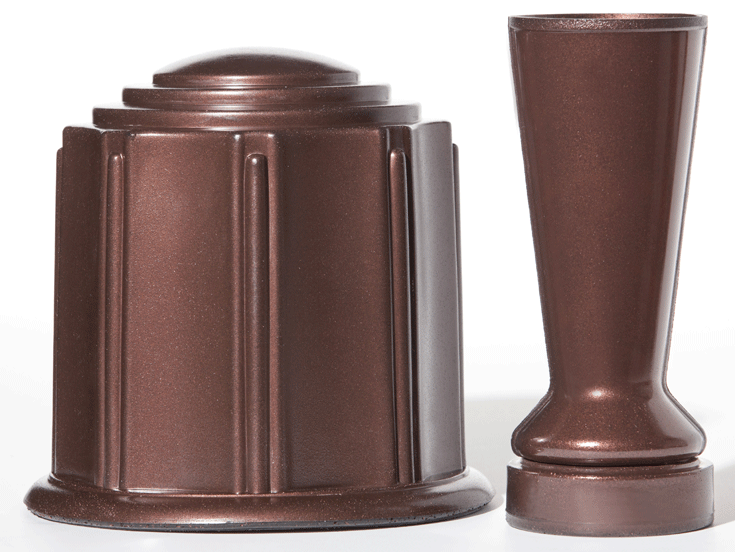 With ForeverSafe™'s Theft Deterrent polyethylene construction, you can rest assured that petty scrap metal thieves will be targeting predcious metal cemetery vases rather than one used at a loved one's memorial from ForeverSafe™. Bring flowers forever, with ForeverSafe! 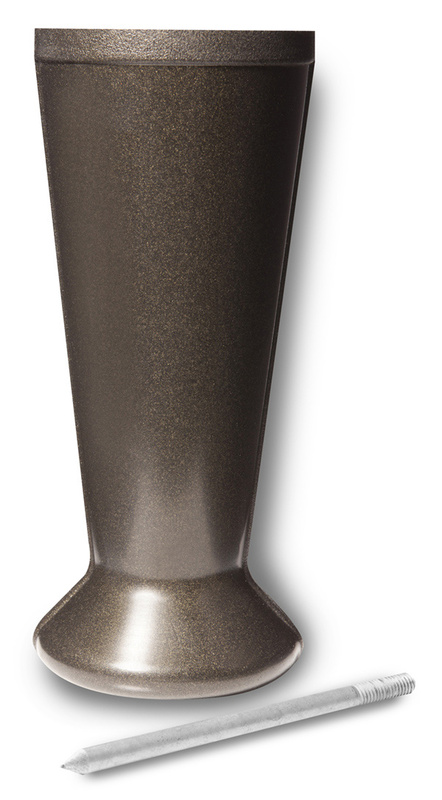 The ForeverSafe Occasional Collection is a line of spiked vases that are attractive, reusable and , beautifully designed for a variety of purposes, including the ability to have a cemetery flower vase at a loved ones memorial or headstone without the requirements of a costly, cemetery flower vase canister. 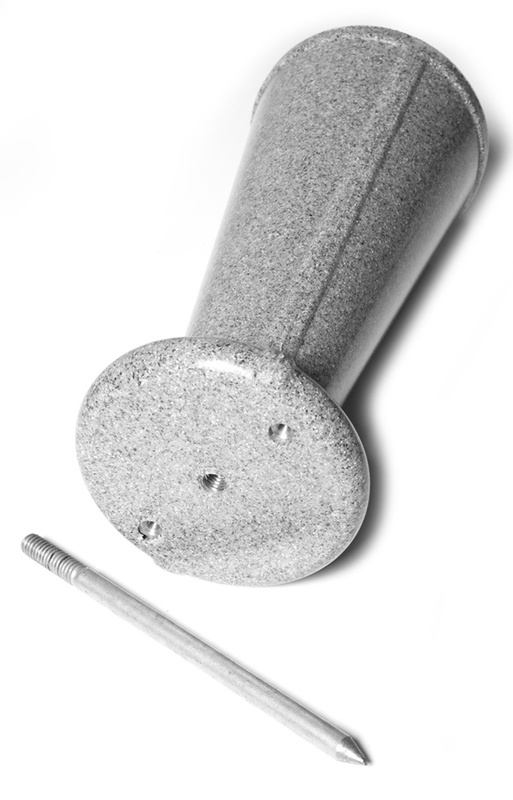 Assembly of the Occasional Vase. 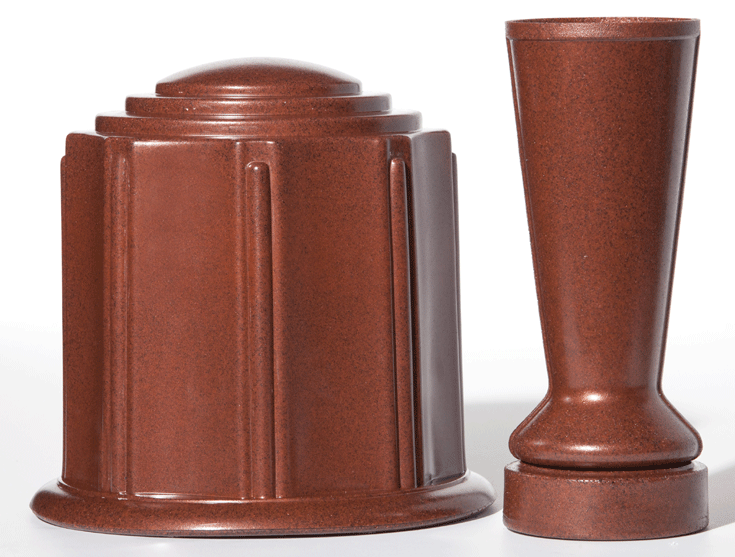 The Cemetery vase that does not require a cannister. 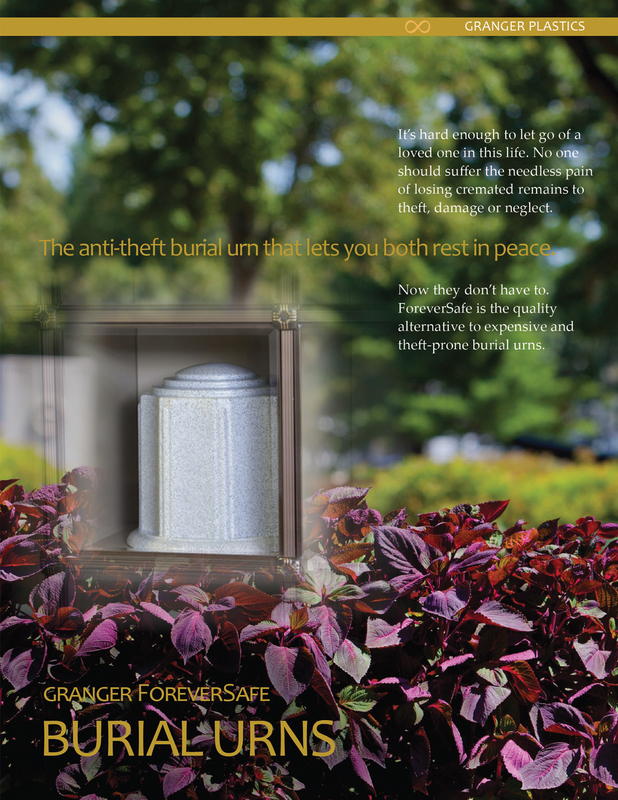 ForeverSafe™ is the name you trust for high quality replacement cemetery flower vases when families are hesitant to replace with bronze or other precious metals, which are being targeted by scrap metal thieves all around the country. But what about the immediate need of having a vase stolen or families that would like to place flowers at a grave with no vase? 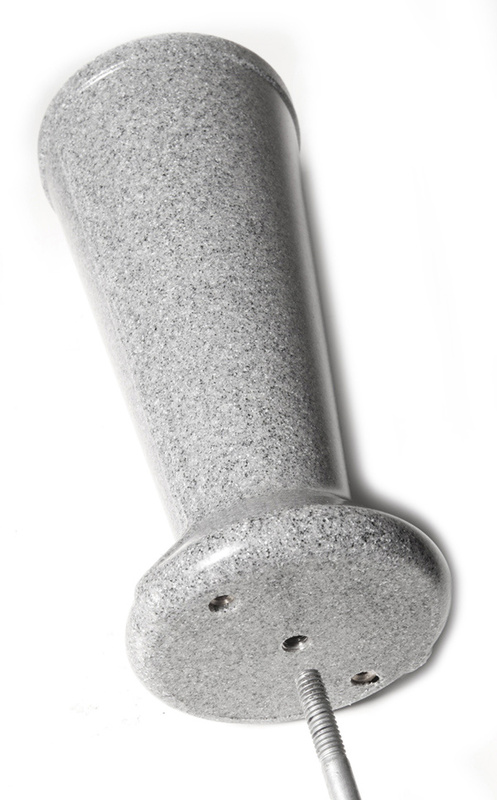 The ForeverSafe Occasional Vase immediately solves these issues. 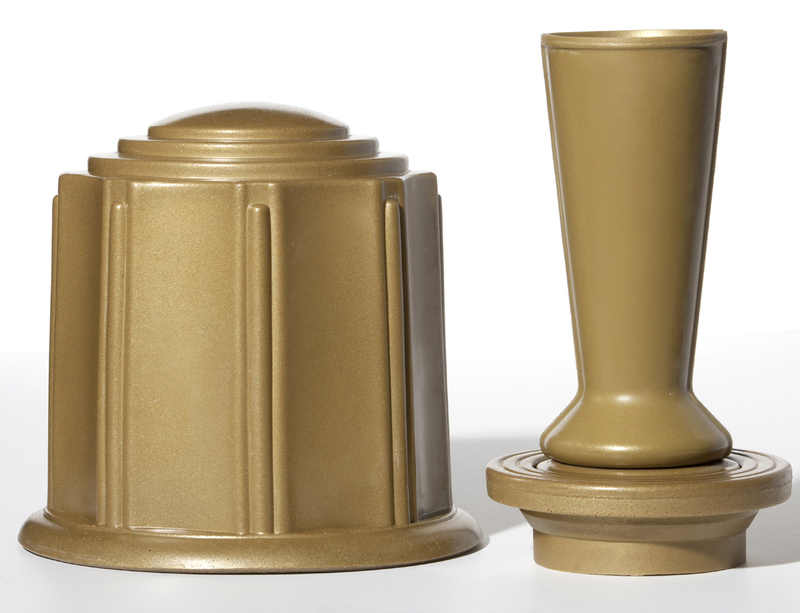 ForeverSafe Occasional Vase is easily assembled for use nearly anywhere! 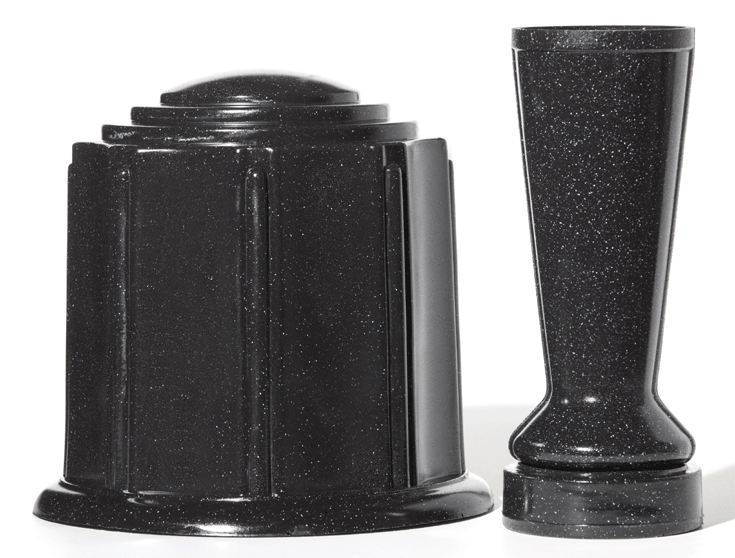 Rest peacefully knowing that your loved one's memorial has a cemetery flower vase. 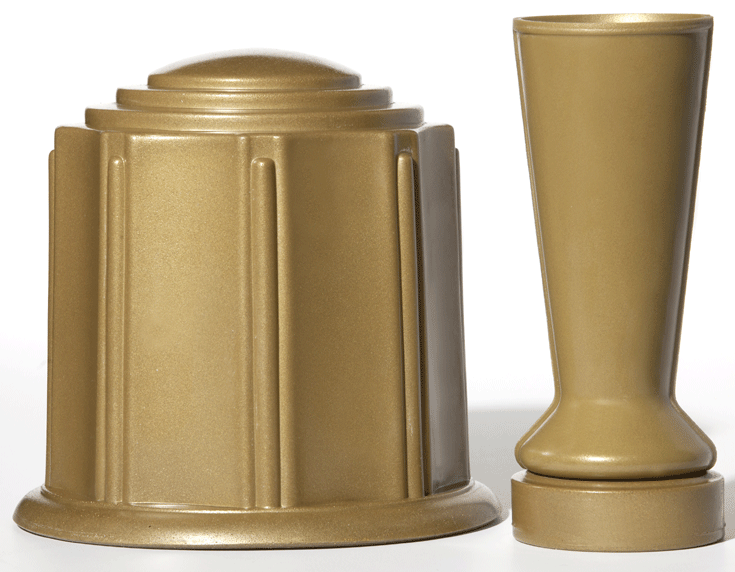 With high quality ForeverSafe products, not only does the high quality finish look tremendous with the memorial, but the heavy duty polymer construction is a theft deterrent, as they are looking for the metal replacements. 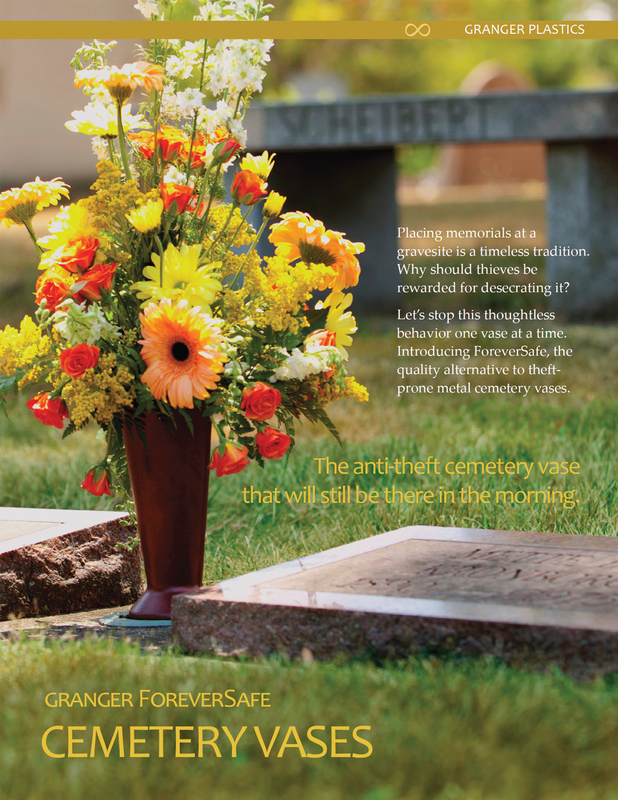 Granger Plastics is a proud and distinguished memeber of the ICCFA (International Cemetery, Cremation and Funeral Association). Since 1887, The ICCFA has grown to more than 7,500 members in the fastest growing assocation in the industry. 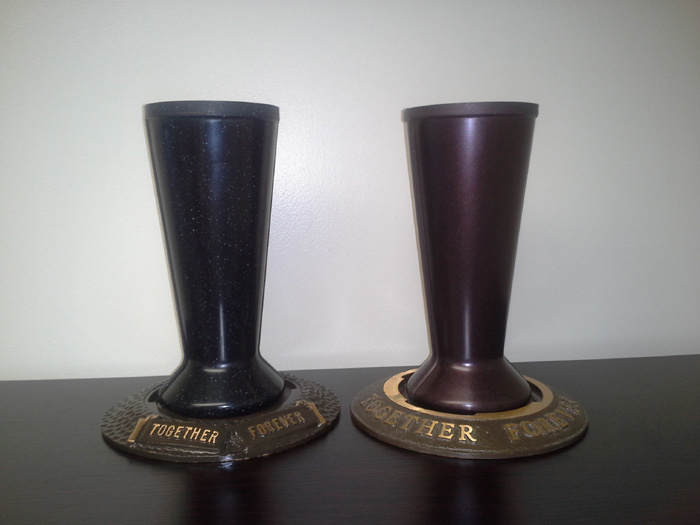 Membership in the ICCFA includes numerous leading cemeteries, crematories, service organizations and students. Granger Plastics is also a proud member of The Catholic Cemetery Conference. 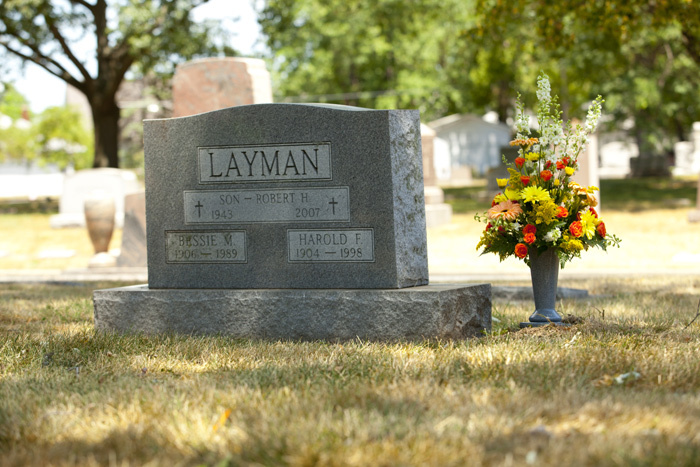 The Catholic Cemetery Conference was founded in 1949 and is the oldest and largest Catholic cemetery association servicing Catholic cemeterians nationally and internationally. Copyright (c) 2012/2013 foreverSafe.info All rights reserved. 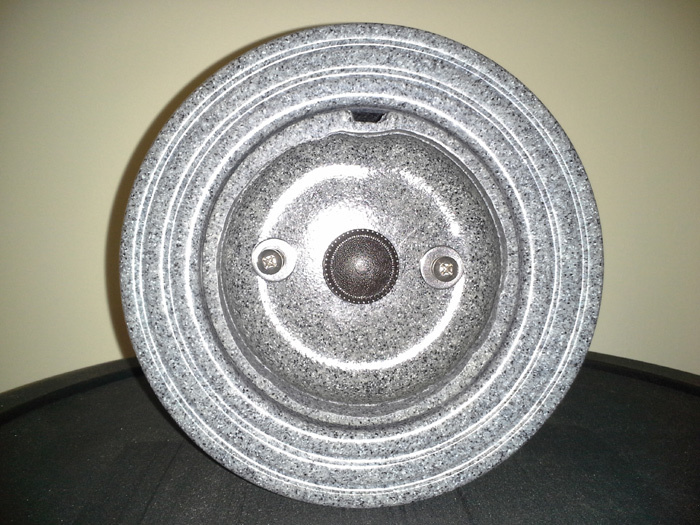 Design by Granger Industries, Inc..